This past week I had the immense pleasure of working along side my dear friend Jill. It is always interesting to work closely with someone you trust so fully and admire so deeply. Before the day of the photo shoots, we barely spoke of what I was expecting and how the day would play out. I used words like “simple” “carefree” and “organic” to describe the feel I was looking for in the photographs, but little else was given as direction. Friday morning arrived and I won’t lie to you, I was nervous. As we pulled onto the bustling freeway the sun broke through the clouds, taking the morning chill away. How would the day go? I wondered. How will everyone respond? Jill came out to LA to help me on a project I have been working on (and to hang out at the Ace with two amazing friends, which was just heaven). Up until this point in the project everything has happened over the safety (and hiding) of the internet. Dealing with people over email and text message is much less scary than facing them in real life where they are 3D and technicolor, not to mention holding a conversation, and making them pose nicely for pictures that they may or may not want to be in. 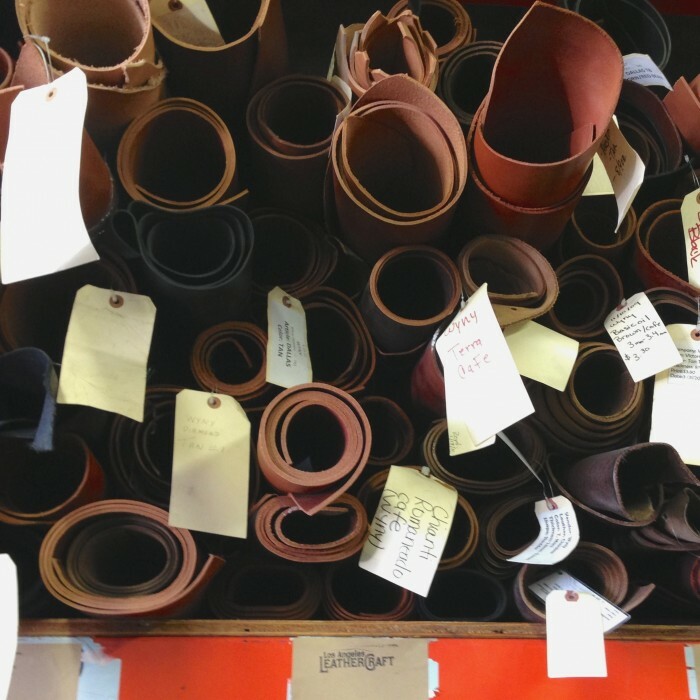 Our first stop was at Los Angeles Leather Craft. Mitzi was beyond amazing and sweet answering all of our questions, volunteering stories and details, all of which was fascinating. After an hour we left feeling excited and energized. Our next stop was to visit Ellen at Hedley & Bennett in downtown LA. Hearing her story inspired us both and I can not wait to share it with all of you! Kristen Elspeth was our next location. 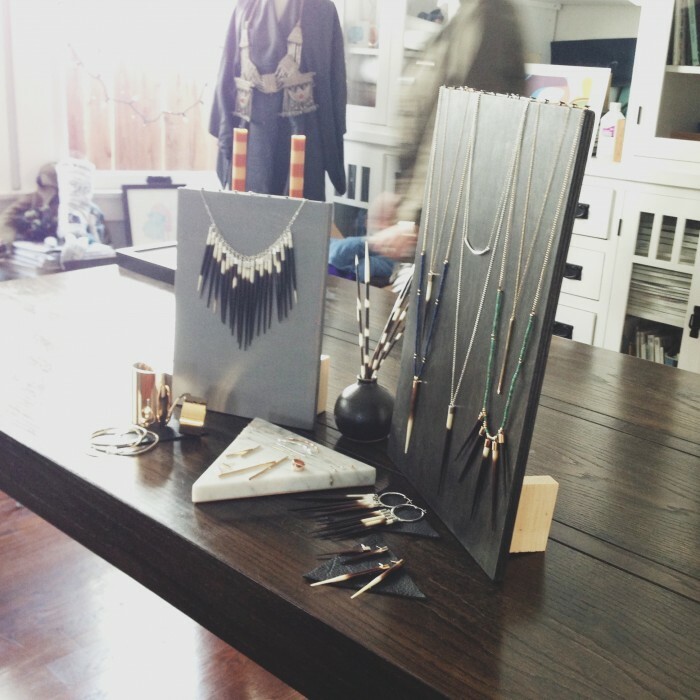 She is the brains and talent behind a line of oh so dreamy jewelry. Her creativity was contagious and her curated eye fine tuned. By the fourth shoot of the day we were exhausted. We meet with JAK (Jessica and Kelly, two of the most amazing babes; “girl crush 2013″ as Jill would say) as the sun was setting. We walked inside, toured around, figured out our shots and were poured a glass of wine. The light filtered into the room in beautiful sheets. Conversation flowed with the wine and before we knew it the day was done. The fear I felt at the start turned into energy and positivity, leading me to consider this idea- By facing our fears we become more capable of taking on the rest of life as it comes at us. Balls to the wall and unabashed we move forward. I am sure I will find the loop holes in that theory when my cowardice rears it’s timid head. None the less, I am going to ride this wave, fingers crossed that another comes along before I run ashore.